“No, I think we’re just getting started”. Back in 2001, who predicted just how huge this series would become? I’ll admit that I didn’t. As we find ourselves salivating over the teaser for Halo: Infinite, which dropped at this year’s E3 expo, we can only wonder just how long we will have to wait for the next (and perhaps last) major entry in the franchise. 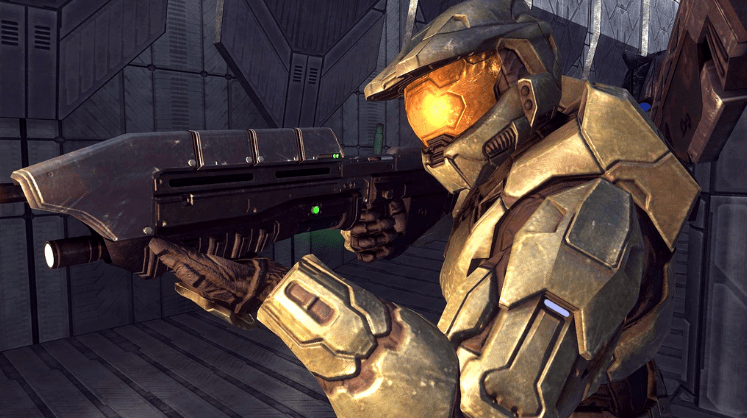 Now seems like a good time to run down the top 5 Halo games of all time, as we cross everything, hoping Infinite will sit right at the top of the pile. What started as a small side project for Bungie quickly ballooned into a full-on adventure, albeit with a very different, grittier, feel. Set just after a Covenant corvette jumps through slip-space over New Mombasa during Halo 2, we get a glimpse of the events that occur on Earth immediately after the main story leaves it behind. The game follows a group of Orbital Shock Drop Troopers (ODSTs) as they lie scattered across the city and have to track each other down. The game’s hub is an “open world” area of the city, and you track different beacon signals to complete the various missions, told through flashbacks. Despite Halo 3: ODST having a shorter single player campaign than its cousins, the story runs at a pleasingly steady pace as you begin to learn about your squad, some of whom will pop up again in future games. The whole mood of the game is more sombre; from the dark palette of colours and dim lighting of most of the environments to the excellent and almost haunting soundtrack which accompanies the action. It further showcases the genius of Martin O’Donnell and Michael Salvatori who effortlessly set the scene from the very beginning. Halo 3: ODST is a pleasant surprise, and the go-to game if you fancy something different from the usual Halo action. Worried. That was my gut reaction when I heard a new Halo trilogy was on the horizon, as Bungie passed on the reigns. 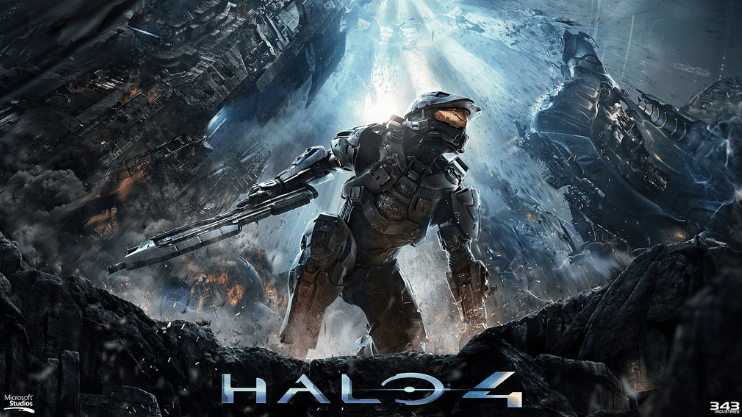 However, Halo 4 is an excellent continuation of the franchise, which delved deeper into the Forerunners and in an interesting move, made Cortana the main focus of the narrative. The balance between characters is struck well, as Chief takes more of a back seat allowing other characters to shine, such as Dr Halsey. The main antagonist, the Didact, is a well realised and effective adversary for the Master Chief, right through to the final battle. One mistake, perhaps, is that he was killed off, which did leave me wondering how there was going to be a Halo 5 at all. The gameplay also received some tweaks. An interactive cutscene mechanic was introduced for the first time, which is used sparingly and doesn’t fall into the trap of feeling like a gimmick. The Mantis walker is also introduced and provides some hugely entertaining segments of gameplay, despite being very reminiscent of Metal Gear Solid. The covenant have also received a design makeover, and sound more like rampant, wild animals to reflect their faction’s breakaway from the alliance with the humans. Finally, a chance to see how the Pillar of Autumn ended up swamped by the Covenant at the very beginning. Previously only a name drop by Captain Keyes, Reach could have been a lazy cash-in to the main series. 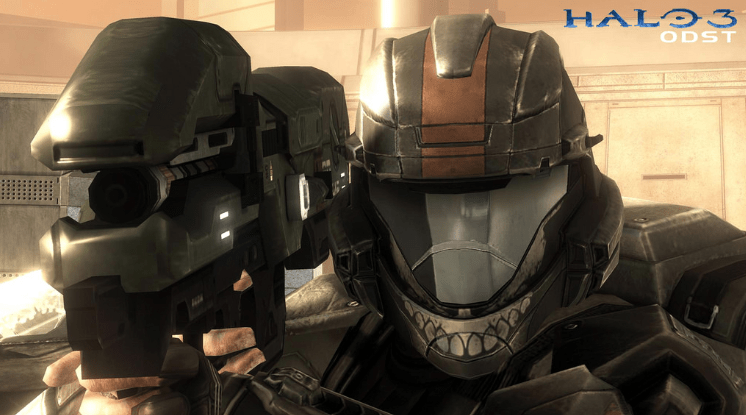 Instead, what is told is a genuinely grim and heartbreaking tale of Noble 6, a Spartan squad who desperately scramble to extract a key weapon in the battle against the surrounding Covenant forces, Cortana. Pretty early on you start to get a sense of how hopeless the human resistance is against the Covenant, and then members of Noble 6 begin to fall in battle which really helps hammer the message home. 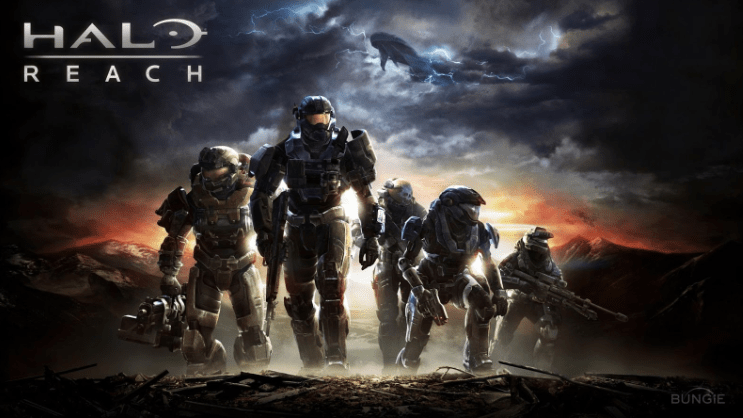 Halo Reach features the usual mix of on and off foot gameplay which Halo is famed for and is pitched somewhere between the main Halo series and Halo 3: ODST for design and overall mood. The game’s story is perfectly paced and instantly draws you in to play until the game’s tragic, inevitable end. I’ll say it now, I am not a massive fan of Halo 2. It’s a good game, but it’s not a great game. It may well be the difficult second album effect, as happened with Halo 5, but it got me wondering if Halo 3 could deliver on a truly satisfying finale to the saga. From crash landing in the jungle at the start, you are thrust straight into the action. The Flood don’t take too long to show up either, bringing all the components together for the final battle to save the universe. As well as new vehicles such as the Hornet, my personal favourite, Chief can now use gadgets in the field such as the “Bubble Shield” which dial up the combat for a more epic feel to match the story being told. The soundtrack also supports this, with “Finish the Fight” being the best piece of music in the whole franchise; a fitting choice for the trilogy’s finale. The stakes are further raised during “The Covenant”, as you desperately scramble to stop Truth firing the rings and Miranda, Johnson and the Gravemind all getting involved in the action. This could well have been a finale in itself, such is the skill at which the story is told. Despite the final mission,“Halo”, being reminiscent of “The Maw” from the first game, it still delivers a thrilling and worthy finale. Halo 3 is as epic as Halo gets, simply a must play game. Where it all began. This is the game I have played through more than any other, and with good reason. Halo has a less complicated storyline than the later games, but this by no means detracts from how well told and perfectly paced it is. You know very little in terms of your enemy, how you ended up being chased across space and who you play as. However, the game grabs you, shows you a diverse range of environments, weapons, vehicles, characters and doesn’t let go. 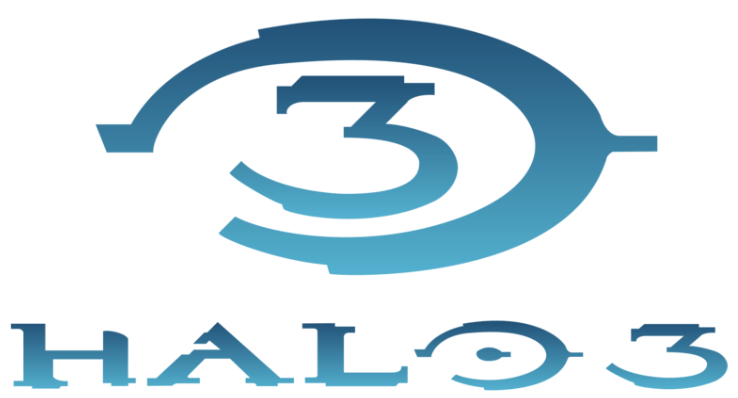 For its time, Halo was truly groundbreaking. The final level, “The Maw”, was unlike anything I had played before. An epic set piece to wrap the game up. The difficulties were also pitched perfectly. Legendary is a challenge, no question, but it doesn’t feel unfairly and infuriatingly difficult like it does in Halo 2. Halo: Anniversary did a perfect job of updating the game without spoiling any of the things which made the original so special, even down to the ridiculous physics and grenade chain reactions. Pressing “back” to switch between original and updated graphics was an awesome treat for fans of the original, which shows the thought put into the game by 343 industries. And there we have it. If you are new to Halo, start with the original. Simple really. Do you agree? Let us know below.